So you want to throw a holiday party and you're thinking about all of the planning details -- menu, drinks, decor and the guest list. Hosting the perfect party can be stressful and can make you consider not throwing one at all. But this year, think again! 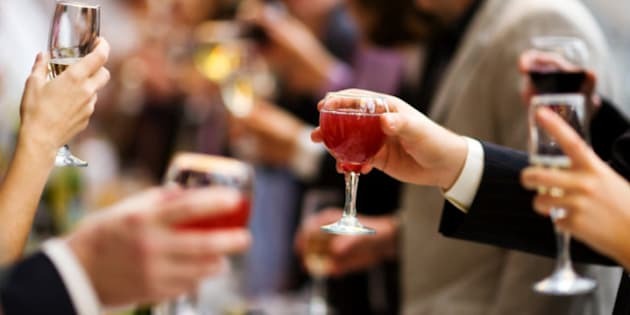 Your holiday party can be memorable and stress-free with a little help from Canadian lifestyle expert Janette Ewan. "Try to gather similar types of people with some of the same interests and behaviours," Ewan says. "Even if this means having a few smaller parties rather than one large one. You’ll be less stressed and a better host if you aren’t worrying about potential conflict or guests being bored with each other." "An easy way to make sure things run smoother for yourself is to ask a few good friends for help. You don't have to do everything yourself, a party is not a one-person thing. Ask someone to man the coats, another to help fill the ice buckets and another to check the bathrooms. By delegating tasks, the weight on your shoulders will be lighter, allowing you to actually enjoy your party." "It is your holiday party, so as the host you want to enjoy yourself. To make sure everything runs smoothly and efficiently for yourself, don't stress too much. Nothing can ever be perfect, and the more you stress, the more your guests will feel stressed. It's your job as the host to be fun, engaging and welcoming." Ewan suggests using rental services for items like glassware and tableware. You'll never have to worry about doing the dishes and can return all the dishware dirty, which is often a major cause of stress throughout a party. She also suggests you stock up on your favourite alcohols early to ensure they don't sell out (her go-to brand is [yellow tail]). We've all been there, locked in a conversation we're itching to get out of, whether you're host or guest. There is a solution other than sneaking away. Keep the conversation simple and when you excuse yourself, be polite, but not over apologetic. Ewan says, "Options of a way out include saying you want to go check on the host, introducing the guest to another guest and then excusing yourself, or offering to get the person a drink. Hopefully they decline and you can just get yourself one, if not simply drop their drink off and keep moving!" "Keep beverages simple: a non-alcoholic punch, sparkling water with lime and red and white wine. By not having a "full" bar, you will save big time and your guests will still be able to indulge in the best." "If you find yourself a tad rough the morning after, I would suggest drinking a Gatorade or Kombucha, taking a multivitamin and eating a peanut butter, jam and banana sandwich (the magnesium in the banana will relax your blood vessels and the peanut butter absorbs the alcohol). Oh, and call in sick to work!"